This coming June, I will give a talk at the “Art in the Anthropocene” conference at Trinity College, Dublin about the sculptural theory of the German artist Joseph Beuys. I will discuss the theory’s implications for the politics and ethics of human action in the Anthropocene, implications imbricated with accusations that Beuys, a pilot in the Luftwaffe during World War II, harbored fascist tendencies in his working methods, which often involve the marshaling of large numbers of people in projects that Beuys grouped under the rubric “social sculpture.” Key for this talk, and for this post, will be a remark Beuys made in 1975 about plastic, so I wanted to use the occasion of this post to further some of my thinking about Beuys, particularly where it most intersects with our present focus on plastic. In contrast to some of the more scientifically oriented pieces we have published in this series, my remarks will address plastic in the artistic context of the “plastic arts.” This term tends to refer to sculpture and ceramics involving the molding or modeling of material, two transformational processes that configure or reconfigure a certain amount of matter and are often juxtaposed with subtractive techniques like carving or additive techniques like assembling that make figurations by changing the quantity of matter being worked. For instance, if I transform a certain amount of clay into a vessel, what changes is the shape of that clay, whereas, if I transform a block of marble into a statue, what changes is the amount of marble. Were I to make an assemblage, I would take one object, add another to it, and continue adding, perhaps also occasionally taking away or reconfiguring, until I have a sculpture. Molding and modeling are procedures frequently visited on plastic, but they can also be applied to other materials that evince the quality of plasticity. My contention with respect to the plastic arts is that, in the Anthropocene, all matter is potentially subject to plastic transformation by human arts, fine and otherwise. In this example, the stone is “sculptural” and the bone is “plastic,” and while it would perhaps be more correct to say that the stone is carved and that both are sculptural, Beuys may well be responding here to the longstanding privilege that carved stone has enjoyed in the history of sculpture, particularly given sculpture’s close associations with monumentality, memorialization, and permanence. By contrast, plastic processes seem more ephemeral, contingent, open-ended, less solid, enduring, and final. These sorts of distinctions between ways of sculpting are not original to Beuys. The British art critic Adrian Stokes marked a sharp division between two broad artistic impulses that he called “carving” and “modelling.” He disdained the latter because, through it, material is made to conform to an artist’s vision, while he championed the former for revealing characteristics proper to a material itself. 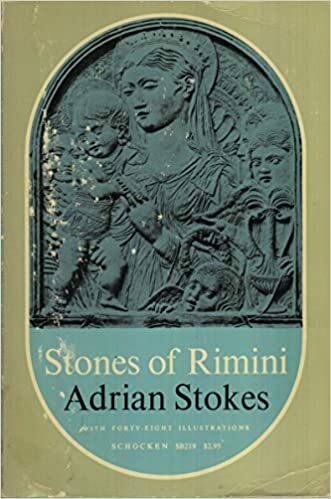 In The Stones of Rimini, a book from 1934 that often makes as much of geology as of art history, Stokes noted that, at his particular historical vantage, “manufacture, the process of fashioning or moulding, supersedes, wherever it is possible, the process of enhancing or carving material, the process that imitates those gradual natural forces that vivify and destroy Nature before our eyes.” [Adrian Stokes, The Stones of Rimini (New York: Schocken, 1969), p. 24] “We emerge from the Stone Age,” he writes, ironically. While Stokes does not announce the dawn of a Plastic Age, he clearly envisions a future in which industrialization continues apace, pushing modeling (and thus both plastic and plasticity) to the fore. Lamenting this with an air of conservative nostalgia for the pre-modern world, Stokes celebrated those modern artists who persisted with an aesthetic of carving. He spent a considerable amount of time with the British sculptor Barbara Hepworth near St. Ives, Cornwall during the later 1930s, and her work with wood and stone, about which he wrote approvingly, exemplifies the values put forward in his art theory and art criticism. Figures in a Landscape, a documentary film that shows Hepworth carving and features narration written by the British archaeologist Jacquetta Hawkes, who, like Stokes, made much of geology and the artful human relationship to stone in her 1951 book A Land. What is perhaps original to Beuys’s theory of sculpture in some sense is his recovery of plastic’s value from within the debased position it occupies in Stokes’s binary. Beuys’s interest in the plastic arts and in the plasticity of matter becomes politically and ethically problematic when put in the context of his approach to sculpture, which involved lecturing, teaching, performance, and activism — all of which brought other people into the orbit of his art-making practice, more or less under his direction. “This most modern art discipline — Social Sculpture/Social Architecture — will only reach fruition when every living person becomes a creator, a sculptor, or architect of the social organism.” [Joseph Beuys, “I Am Searching for Field Character” (1973) in Energy Plan for the Western Man: Joseph Beuys in America (New York: Four Walls Eight Windows, 1993), p. 21] To the art historian Benjamin H. D. Buchloh, who began his career in Germany during Beuys’s ascendance there before relocating to the United States, Beuys comes too close for comfort to the charismatic, authoritarian leader of a totalitarian state. Drawing on Walter Benjamin’s observation that fascism aestheticizes politics while communism politicizes art, Buchloh aligns Beuys with the former despite Beuys’s own claims to support socialism, noting further that the fictional stories he told about his own past involvement in the Luftwaffe obfuscate a moment in German history that requires truthful treatment. For Buchloh’s full argument, see his essay “Beuys: The Twilight of the Idol: Preliminary Notes for a Critique,” Artforum (January 1980): pp. 35-43). I share Buchloh’s concerns about Beuys, but my own interest extends also to the ecological and environmental aspects of his sculptural theory and practice. From his invocations of glacial action and bone formation, it is clear that Beuys sees sculptural or sculpture-like processes occurring beyond human agency. To my thinking and to the thinking of many other scholars who discuss Beuys’s interests in energy, materiality, healing, systems, and more, this indicates that he is as much an ecological or environmental sculptor as he is a social sculptor. The work I will discuss in some depth in Dublin is 7000 Oaks, a major project inaugurated in 1982 that involved planting 7,000 oak trees in Kassel, Germany, the site of the major exhibition Documenta. It was completed five years later at the next iteration of Documenta in 1987, one year after Beuys’s death, and an extension of the project appeared posthumously in New York under the auspices of the Dia Art Foundation. The work involves no actual plastic, but in its leveraging of a workforce across five years to plant trees that will carbon-scrub the atmosphere for many more years after that, it engages in the kind of “fluid processes” that Beuys aligns with plastic. While this work, like the act of planting a tree itself, seems environmentally beneficial, I question whether it is not an act of greenwashing that enables a major artist and major art-world institutions to claim ecological beneficence (in the ways that corporations do through advertising campaigns touting their greenness) and cover up self-serving activities that actually benefit them. I also wonder whether what a work like this discloses — namely, that humans have, to varying degrees, planet-sculpting powers — ought to take on new resonance in the Anthropocene, a term coined well after Beuys’s passing. Beuys may have been one of the founders of Die Grünen, the German green party, but his work also tacitly sanctions an environmental sculpture that would transform the planet to accord with the vision of an artist in ways that resemble Buchloh’s fears about social sculpture’s fascist leanings despite its creator’s outward declarations in favor of socialism. How we treat the plasticity of things or their capacity to be plasticized is an inherently political, ethical, ecological, and environmental concern, even when things are not plastic in the chemical sense of being carbon atoms aligned into chains. Art historians are beginning to take plastic seriously. Amanda Boetzkes and Heather Davis are among an emergent generation of scholars making much of the material and linking it to the broader historical and natural contexts driving its ubiquity and bearing the brunt of its ubiquity’s impact. Plasticity in a sense that scales from the properties of specific materials at the molecular level, plastic or otherwise, to the political and ethical questions of how societies and ecologies or environments organize themselves in ways that are inherently and broadly artful and responsive to their capacity to be modeled and molded, seems set to be a major concern for art history but also for all thought as we move forward into a future in which more and more of our lives, even life as such, seems set to be plasticized both literally and figuratively. This means that we need to think about artists like Joseph Beuys not just for what they tell us about art history but for what they tell us about humanity’s entanglements with the rest of nature in the Anthropocene. This entry was posted in Plastic, Reflections and tagged 7000 Oaks, Art history, Joseph Beuys, sculpture. Bookmark the permalink. One of the unique aspects of plastics as a material that has only been recently solved is that to make a plastic art piece of any sort of complexity was not possible without a large investment, much larger than any artist could be expected to make. One could not easily use sculpturing techniques commonly used on stone/wood etc. to form objects. So certainly there were art exhibits involving plastic materials but most of those were the arrangement of already existing pieces (one of the ironies of plastic is that the cost of making one object was in many cases equal to the cost of making 99,999 more!). This situation has now changed with 3D printing of plastics. Most colleges have 3D printers available for student use, many high schools do as well. An individual artist can now find a place where such printers are and make whatever he/she wants; a well-off artist can afford these printers. Similar to how a laser printer enabled nearly anyone to self-publish very high quality 2D prints, these 3D printers will do the same for mechanical objects. Doing a quick internet search on 3D printing of plastic for art yielded some fascinating hits but given the incredible versatility of 3D printing I was surprised not more was present.